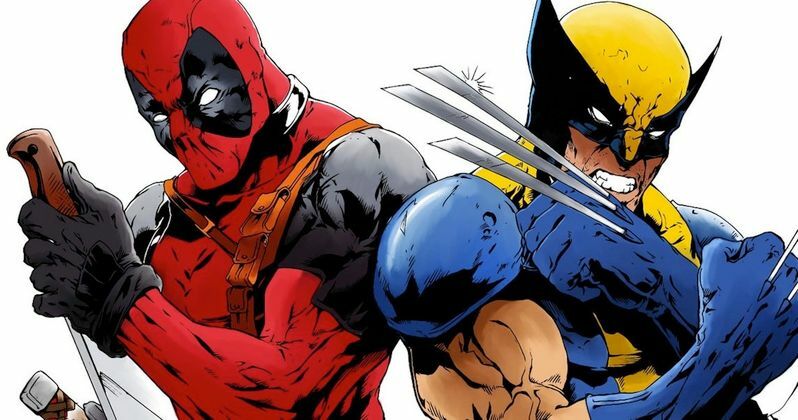 Rob Liefeld says that a Deadpool and Wolverine team-up is "inevitable" in the Marvel Cinematic Universe. There has been a lot of talk about the Merc with a Mouth heading over to the MCU over the last several months now that Disney is acquiring Fox's Marvel properties. Questions of how the studio will handle Wade Wilson's trademark vulgar language and how/if he will be incorporated have been asked by fans and even the men and women behind Deadpool. While there have been a lot of questions surrounding the Disney and Fox deal, there have also been a lot of wishes too. Fans have been hoping to see Ryan Reynolds' Deadpool team up with Hugh Jackman's Wolverine, but nobody has wanted it more than Reynolds, who brings it up all of the time. However, Jackman has stated many times that he is done with the character, even though moving to the MCU excites him. That being said, Rob Liefeld believes that the MCU will finally bring the characters together, but it might not be exactly what the fans want. He explains. "I feel like it's inevitable. I wish that it was Hugh and Ryan. There's no guarantee that's going to happen. But look, I do believe Marvel films has, whatever you call them. Marvel Cinematic Universe, they are really good at giving people what they want, and sometimes giving them what they don't really understand they need the most, like Thor and Rocket Raccoon, okay." As far as when this could happen, that's anybody's guess and Rob Liefeld doesn't pretend to know either. However, he truly believes that Deadpool and Wolverine will end up on the big screen in the near future. But, will fans want to see it if it's not Ryan Reynolds and Hugh Jackman? That's the real question. Liefeld continued and had this to say. "You kind of understand that there's an inevitability about it. It's just, what date? Tell me the date, you know. So, I do believe it'll happen." Marvel Studios boss Kevin Feige and their team have brought the MCU to amazing levels of success and they seem to be able to make the impossible happen. It wouldn't be too surprising if Feige was able to get Hugh Jackman back on board for a team-up with Deadpool. There have been rumors that the X-Force movie and Deadpool 3 could be dead, which Rob Liefeld has addressed in the past, but maybe Feige has some tricks up his sleeve. At this time, it's impossible to tell what will happen to the Deadpool franchise under the Disney umbrella. But, one has to like how positive Rob Liefeld is about the whole Merc with a Mouth and Wolverine team-up business. Hopefully that positivity becomes infectious and starts to spread to the studio and down to Hugh Jackman to make this dream a reality. Until then, we'll just have to sit with Liefeld and think positively about the situation. The interview with Rob Liefeld was originally conducted by Comic Book. Ryan Reynolds & Hugh Jackman End Their Feud in Epic Fashion, or Did They?